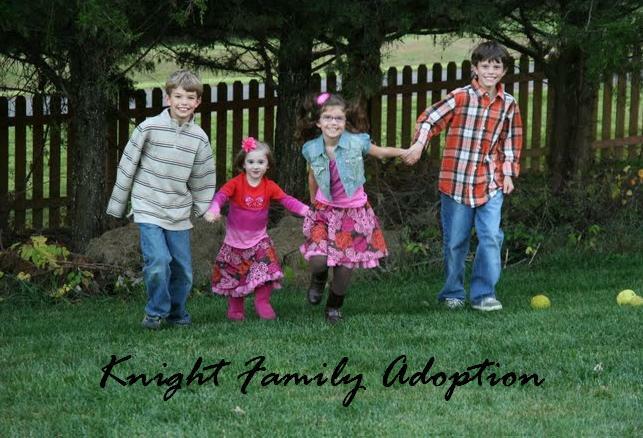 Knight Family Adoption: It's been a LONG time! I know this is a long shot, but I'm curious if you adopted from the Vladimir Children's Home. I've been there several times, and my husband and I are in the process of adopting from a different orphanage in the Vladimir region. If you are willing, I would love to be able to ask you a few questions about court and such. Ok, to add information, I actually recognize your little Tess now, and am sure I could get pictures to you of when we was still at VCH.